Pride of place in our new Bury St Edmunds showroom is a very special bicycle that belonged to a very special lady- Joan Mower. 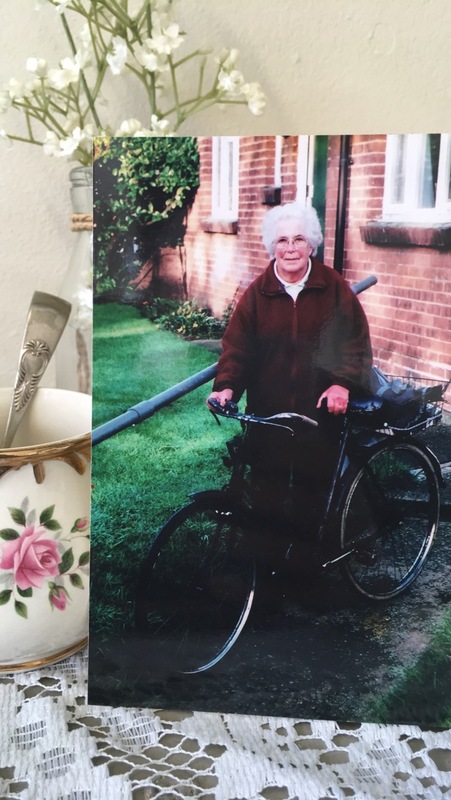 In 1937 aged 14 Joan was gifted this charming bicycle by her brothers, cherished and used religiously for the following seventy years of her life. From her daily commute to frequent 14 mile round trips to Ipswich for fish and chips for her family. Joan used her beloved bicycle through wartime Britain and this still shows with the black out paint and touches of reflective white. 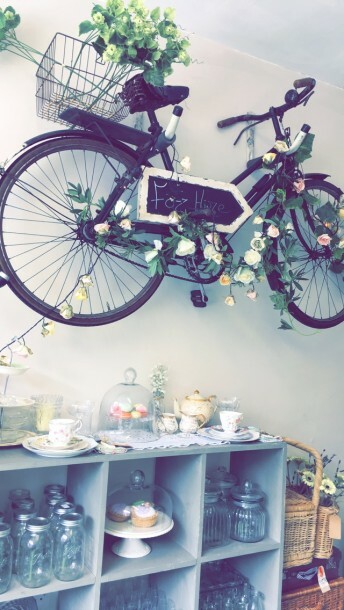 What we love most about our vintage props and stock is the history they carry and what a wonderful story this bicycle has to tell. With a huge thank you to Joan’s son’s David and Richard for kindly gifting us here at Serendipity Street with such a treasured piece. We promise to continue it’s beautiful story among weddings and celebrations of all kinds but in the meantime we boast it on our wall for all to see.